James Caan, Al Pacino, Robert De Niro and Diane Keaton will reunite at Tribeca. The 16th Tribeca Film Festival will close with a "Godfather" cast reunion and a back-to-back screening of parts one and two of Francis Ford Coppola's classic saga. 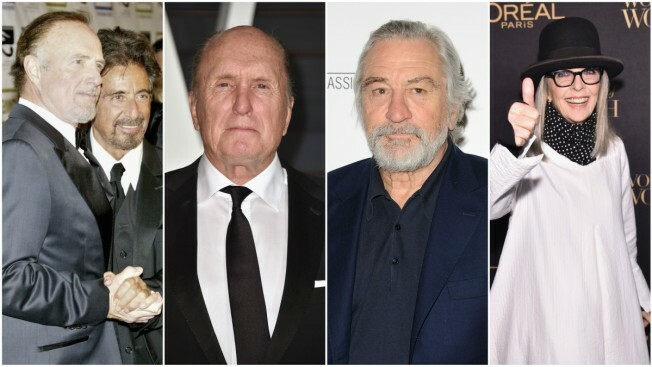 Tribeca announced Wednesday that the 45th anniversary screenings will be followed by a conversation with Coppola, Al Pacino, Diane Keaton, Robert Duvall, James Caan and Talia Shire. Robert De Niro, co-founder of the festival, naturally, will also join. The New York festival also plans several other anniversary celebrations. A 25th anniversary of "Reservoir Dogs" will be followed by a chat with Quentin Tarantino and the cast. A sing-along will be held for the 25th anniversary of Disney's "Aladdin." And Michael Moore will be at the festival for the 15th anniversary of his "Bowling for Columbine." Tribeca will take place April 19-30.